Polish your velocipede and pull Grandpa’s tweeds down from the attic – it’s time to return to a more elegant era of cycling! 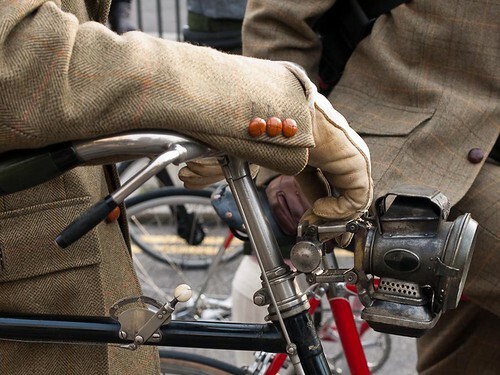 Inspired by the recent London Tweed Run, in which approximately 150 impeccably-dressed Ladies and Gentlemen poshly pedaled their woolen way from Savile Row to Bethnal Green in London, San Francisco cyclist Colin Fahrion has created the Thursday Tweed Ride. The Tweed Ride invites local cyclists to don classic woolen attire, set their caps at a jaunty angle, and take part in an unforgettably stylish ride through our fair city. 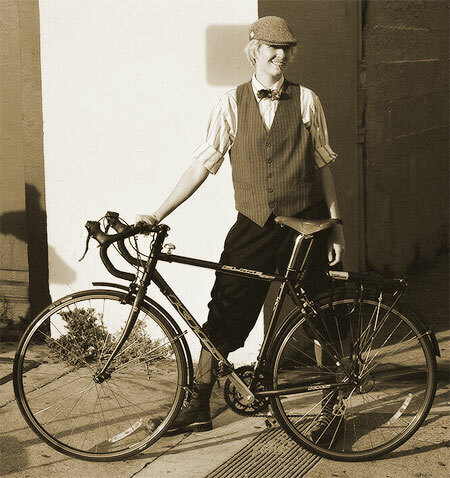 The inaugural San Francisco Thursday Tweed Ride will be held this Thursday, February the 12th. 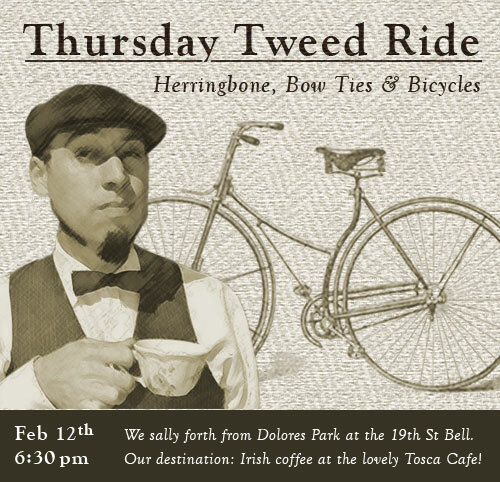 After assembling at Dolores Park’s 19th Street Bell, the Tweed Riders will sally forth at 6:30pm (meeting up with East Bay Tweed Riders at 16th St. BART), en route to their destination: North Beach’s historic Tosca Cafe and its famous hot Irish coffees. For those at a loss as to how to assemble a winning look, Colin has kindly prepared A Tweed Primer, with links to local thrift stores and tips on how to quickly and easily get your Tweed on!